Joseph Chaisson is Research and Technical Director at the Clean Air Task Force (CATF). In this capacity he has led CATF’s research and technical work since its founding in 1996 and is widely respected within the NGO community, Congress, EPA, and the energy industry for his command of key technical issues in the environmental/energy interface. He has commissioned and supervised more than $15 million of direct research on behalf of CATF in the last decade, and during his 35-year career in this field has authored, co-authored and/or supervised hundreds of energy and environmental studies and analyses. Chaisson works closely with technology companies and financial entities to evaluate and help develop and deploy emerging technologies. He has testified before US Congressional committees on these topics and makes presentations to senior federal legislative staff and executive branch officials on a regular basis. 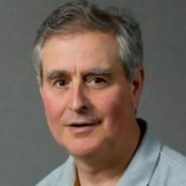 Chaisson has served on several scientific and academic advisory committees like MIT’s Future of Coal report advisory committee and the Bipartisan Policy Center’s Task Force on Geo-engineering, and he regularly advises utility, technology companies, policymakers and foundation officials on key technical and policy issues. From 1987-1996 he was Technical and Research Director at the Conservation Law Foundation’s Energy Project, where he managed development, implementation and evaluation of the first comprehensive electric utility energy conservation programs. From 1973-1980, he worked in several environmental and energy policy areas in Maine state government. Chaisson holds a B.A. from Harvard College. He is also co-founder of Energy Options Network (EON).